It's hard to turn on your television and not hear about Donald Trump. The real estate mogul and reality TV-star turned politician is ubiquitous. The brash billionaire has an ego fiery enough to fill a hot air balloon. Yet, that hasn't turned off his supporters; it has only energized them. 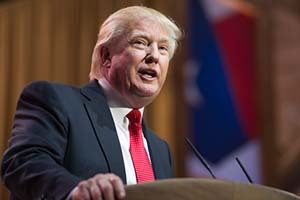 Now, Trump has become the presumptive Republican nominee, and he's almost guaranteed to grab his party's official nomination at the Republican National Convention on July 18-21. You may already know a lot about the 69-year-old – his long list of successes in business… and his failures. You may already know about his laundry list of controversial statements, too. 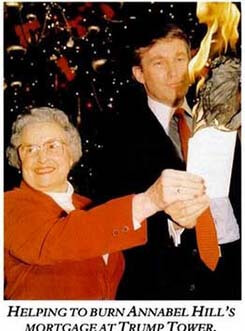 Donald Trump and Annabel Hill burning her mortgage at Trump Tower in New York. 1. Trump helped save a Georgia family farm: In 1986, a small family farm in Georgia was about to go into foreclosure. Its owner, 66-year-old Lenard Hill, shot himself on Feb. 4 to stop the foreclosure on his land nearly minutes before its sale. The man wanted his wife to use his life insurance payout to save the farm that had been in his family for three generations. There was a major problem, though. Lenard Hill's life insurance wasn't enough to pay off the debts on his farm, and so it was rescheduled for auction only days later. Trump heard about the Hill family's dilemma after he saw news reports. 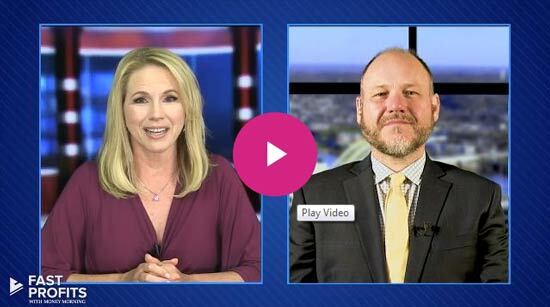 He immediately phoned in to the auction and stopped it, saying that he would assist the family. Trump called Lenard Hill's wife, Annabel, and offered $20,000 to save at least part of the farm. Trump also helped raised a large donation to assist Annabel. 2. Trump has a fear of germs: Trump is a self-avowed germophobe. In particular, Trump hates shaking hands. In his book, "The Art of the Comeback," he wrote "one of the curses of American society is the simple act of shaking hands, and the more successful and famous one becomes the worse this terrible custom seems to get." Trump continued on to say he washes his hands as much as possible and that he happens to be a "clean hands freak." 3. Trump is straight edge: Trump has never smoked cigarettes, drank alcohol, or done drugs. His oldest brother, Fred, was a heavy alcoholic and warned Donald Trump to avoid drinking. Fred eventually died from his alcoholism. Donald Trump has passed down his distaste for drugs and alcohol to his children, who he says have never drank or done drugs, either. 4. 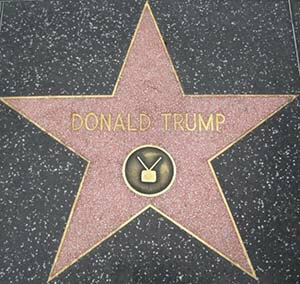 Trump was honored for his role in "The Apprentice": Trump has a star on the Hollywood Walk of Fame for his role as a producer in "The Apprentice." Since the billionaire is amid a presidential run, the hit TV show is set to be taken over by Arnold Schwarzenegger. 5. Trump had a board game: You may already be familiar with some of Trump's botched business ventures, like his vodka or his airline. The Trump Board Game is one of his lesser-known ventures that didn't last. Trump partnered up with the board-game company Milton Bradley to release the game in 1989. In the game, which was a lot like Monopoly, three to four players buy and sell real estate and try to beat out their opponents' business deals. The game fell far short of the 2 million sales that Trump and Milton Bradley hoped for. It was discontinued in 1990, only to be revived 15 years later after the release of "The Apprentice." The new, updated Trump game featured "The Apprentice" catchphrase "You're fired!" on the cover and also had simpler rules. The game was discontinued yet again shortly after.